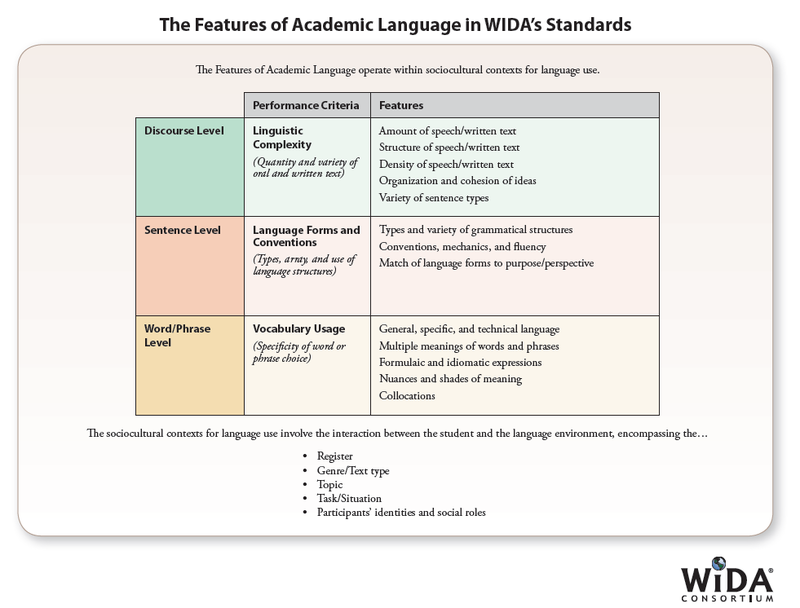 South Carolina adopted the language proficiency (ELP) standards developed by the World-Class Instructional Design and Assessment (WIDA®) Consortium in July 2014. Horry County Schools uses the WIDA ELP Standards as a basis for providing services to ELLs. English Language Proficiency Standard 5: English language learners communicate information, ideas, and concepts necessary for academic success in the content of Social Studies.